Great Lakes TV Seal, Inc. inspects, cleans and repairs underground pipelines for municipalities and industrial applications in Wisconsin and the Upper Peninsula of Michigan. Great Lakes TV Seal, Inc. provides pipeline inspection to aid customers in an accurate evaluation and documentation of pipe segments. 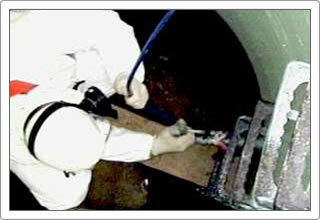 Great Lakes TV Seal, Inc. is well known for our expertise in the field of grouting (sealing). Chemical grouting is the most effective and efficient way of eliminating infiltration and/or exfiltration. About Great Lakes TV Seal, Inc.
Great Lakes TV Seal, Inc. (GLTVS) inspects, cleans and repairs underground pipelines for municipalities and industrial applications in Wisconsin and the Upper Peninsula of Michigan. GLTVS is the leader in no-dig pipeline repair and rehabilitation in Wisconsin. From the preliminary inspection of underground pipelines, to trenchless repair and full manhole rehabilitation, we have the expertise and resources to get the job done quickly and efficiently. Regular cleaning is an integral part of pipeline maintenance. Systems that aren't cleaned can lead to backups, equipment malfunctions, plant shutdowns, or worse. Inspecting pipelines is the first line of defense for a properly maintained system, and verifies work done by other contractors. Testing pipelines ensures that your system will work the way it should. 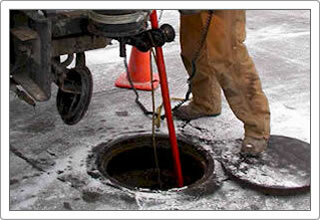 Age old and microbial induced corrosion wreak havoc on manholes, creating everything from minor leaks to major failure. Fortunately, GLTVS will provide solutions for specific problems. 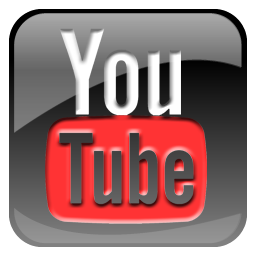 Check out these videos featuring some of the services we offer. Check back often to see currently uploaded videos and share your thoughts with us by using our contact form.